We Take Care Of All Your Bathroom Plumbing Needs In SW17. Your Kitchen Is Very Important. Our Tooting Plumbers Are Always Dependable. Do you need professional plumbers in Tooting (SW17)? Trustworth Plumbing provides expert plumbers who are fully qualified to perform any job. Count on us to get the job done and exceed all your expectations. We have vast years of experience and very long list of happy customers. Our Tooting plumbers never cut any corners and work with real precision. We never reuse any old parts and all our tools are kept new. You should ever cut any corners by not using a fully qualified engineer. You will only have to then hire a professional to fix their costly mistakes. Our engineers will use the technologies that guarantee absolute precision. Our team never panic when faced with emergencies and work in a tidy manner. We cover all areas in the borough of Wandsworth and provide a 24-hour service. If you need the most reliable plumbers Tooting has, then consider using us. Our plumbers in Tooting are fully qualified to do any plumbing task needed. 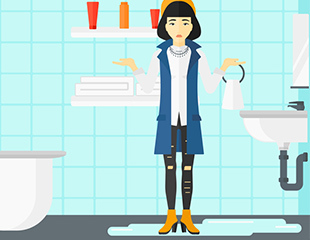 When a problem in your bathroom or kitchen arises, we can attend to find the best solution. We provide property management services for landlords in Central London. Our plumbing management and maintenance packages give you peace of mind. 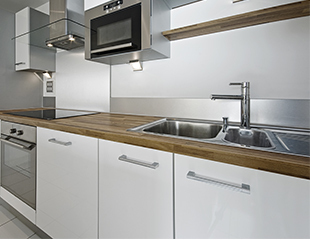 Our team will also manage any plumbing tasks for luxury homes or apartments. Our experience enables us to carefully manage any future repairs or servicing required. Trustworth provides an easy to follow pricing scheme. We're honest and transparent when pricing a job. You may wonder how much it costs for a plumber in Tooting. Trustworth provides standard plumbing work at £75 per hour, locally. Other regions in Central London will have a slightly more expensive standard rate per hour. This will be because of congestion or parking charges. Extensive plumbing jobs will require us to visit you, to provide a fair quotation. All quotations are of course are free. Tooting is a very busy South-West London district. It has nice open green spaces in some parts as well as conservation spaces. Our plumbers cover Tooting Bec and Tooting Broadway. Did you know that the current mayor of London used to be MP for Tooting? We are proud to offer plumbing services in SW17 because as a local company we care about the local community. Do you have a plumbing emergency in Tooting? Do you need a company you can trust? Expect us to respond quickly and find the best solution to the situation. Burst or frozen pipes will be a real nightmare. Let us take care of the situation, while you relax and have a cup of tea. Our qualified engineers provide the best repairs; ensuring it lasts, well into the future. You can also pick an aftercare package that provides regular checks. Trustworth does its' very best to respond quickly to any plumbing emergency you face. Our team can provide important advice to you on the phone. For example, if you are facing a burst pipe, we can direct you turn off the stopcock to the main water supply (if possible). In the meantime, our emergency plumbers in Tooting, are already on their way. There are some important measures that will be implemented to make sure the same problems do not happen again. Our 24-hour plumbing service ensures we can respond to your emergencies, any time of the day. Call us on 020 8670 4443 or 07951538977 for all plumbing installations and repairs. 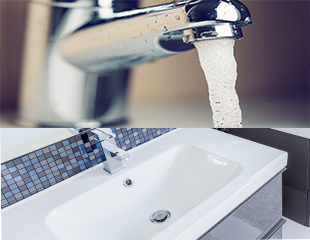 Trustworth is rightfully among the best plumbing companies in South London. Our work is of the highest standard. Our Tooting plumbers will install or repair toilets, showers, sinks, baths, taps or basins. Installing and fixing water tanks and important pipe work is done with real precision. When performing general tasks, we do all the basics with ease. Landlords in Tooting choose us for property management because we are very experienced. We professionally fit new baths, taps, showers, toilets, basins and sinks. Whoever the manufacturer is, we can install what you need. When sink waste is a problem for you, give us a call. Our plumbers can fit a sink macerator with skill. Other services we provide include washing machine and dishwasher installations services. We also provide repairs for such appliances. If you are a landlord who requires work carried out at your property, trust in our ability. When it comes to finding out the cost of plumbers in Tooting, always research wisely. You should always search for a plumbing company that has a clear pricing scheme. Their rate or price-per-hour has to clearly be stated. Beware of companies who have any hidden costs. With Trustworth, our prices for local plumbers are very easy to follow. We charge £75 per hour for all standard work in Tooting. Jobs that require substantial work, will need a quote from us.